December Pack Meeting means Christmas Carol Chaos. Help your scout remember all those Christmas songs as we duel it and see what team know the most songs from memory. Raingutter Regatta is coming up Nov 11th. Boat's were passed at at the Oct Pack meeting. See you Den leader if you do not have yours. Boat check-in starts at 1 and racing starts at 2. Event will be held in "the Shed" at FCC. Lions, Tigers & Bears. Oh My. Wolves, Webelos and Arrow of Light too. Pack 1 is always accepting new scouts. We are especially interested in bringing on younger scouts and getting them involved. Come check us out or ask your friend to come to a meeting. Lets have fun together while we learn. First Pack Meeting of the Year. First Pack meeting is this coming Monday Night. September 25th. 7PM. We meet in "The Shed" which is next to the big white church building on the campus of First Christian Church. 17th & Main. Huntington Beach. Hello Pack 1 parents. It is that time if year again when we kick off the scouting year. We need you all to come out this evening for a short 1 hour meeting so we can kick the year off right. We will be paying annual does, choosing where we you can help out this year and letting you know all about the program and changes coming this year. Bring your check book and your spirit of adventure. If you must bring your scout that is fine. Please bring them with something quiet to do in the back of the room. So you are new to Pack 1 and New to Scouting. Come on out Monday night, Sept 18th at 6:30 and let us answer your questions and help you get oriented in the world of Cub Scouts. The meeting will be held at Huntington Christian School at 6:30 in the Chapel. Directly following this meeting is the all parents meeting at 7:30 where we will talk about the upcoming scouting year. Plan to attend both. Bring you scout if you must but give them something quiet to do. 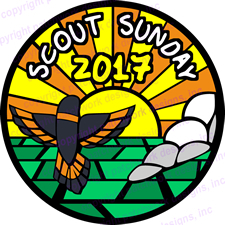 Scout Sunday event at your church. Takes place on February the 5th in the morning.